I like locations to game in and this book gives me those locations in spades, along with some new equipment, races, ships and encounters. If you're looking for a handbook to give your places new things to do, new places to see, and experience some of the key locations in the Rebellion such as Echo Base... well, you'll be launching strikes against the Empire from these fortified places before you know it, and after your operations you'll be looking forward to getting back 'home' to a meal and some R&R, and maybe a quick dip in a bacta tank. The locations are my favourite section of the book by far. Not only do you get the worlds that have stood up against the tyranny of the Empire, you also get detailed Rebel bases to play with, which you can use as they are designed or adapt for your own use, renaming them and using them as templates for hidden fortresses across the galaxy. You get Polis Massa (espionage, starfighter support, and medical research), the Defiant Core (constructed out of a salvaged Star Destroyer from the Clone Wars), Tierfon (starfighter support) and, my all-time favourite, Echo Base on Hoth. The period that the book is set in means that Hoth is the central base of the Rebellion, so enjoy it... but don't get too attached. There are several planets including Mon Cala (it's a bit damp there) and Sullust. Along with these worlds you get some new playable races, a Polis Massan, a Quarren, and a Verpine. The Verpine, and the Roche Asteroid field, are a favourite of mine as I remember with fondness reading about their adventures creating fighters at a secret base for the Rebellion, nearly thirty years ago now. Along with these new locations and races you also get new gear to utilise. There's also some very interesting encounters to utilise. 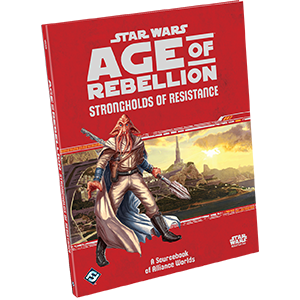 From fighting TIE fighters, to handling diplomatic negotiations, from fighting with the Sullustan resistance to destroying Imperial operations, each adventure will give you a game session or two each and are pretty good fun. There's everything a gaming group needs and there's something for everyone to do; battles, espionage and diplomacy will abound. All in all this is a well laid out, informative and very atmospheric book and gamers looking to heighten that sense of Rebellion, of hiding in the stars as they fight against the evil Galactic Empire, will find this invaluable. 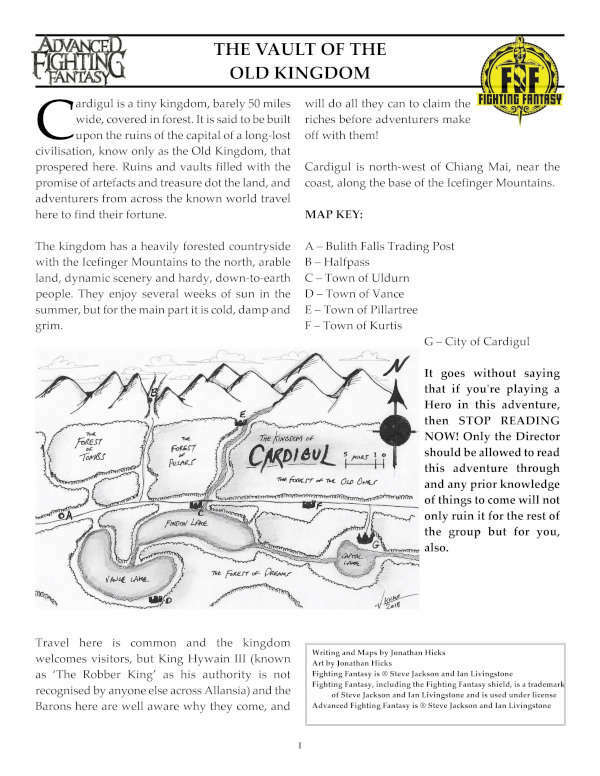 As well as containing plenty of information about worlds and locations that will help to germinate seeds of adventure, the details in here will give you plenty of gaming hours interacting with both the strongholds and the denizens far beyond the adventures included. 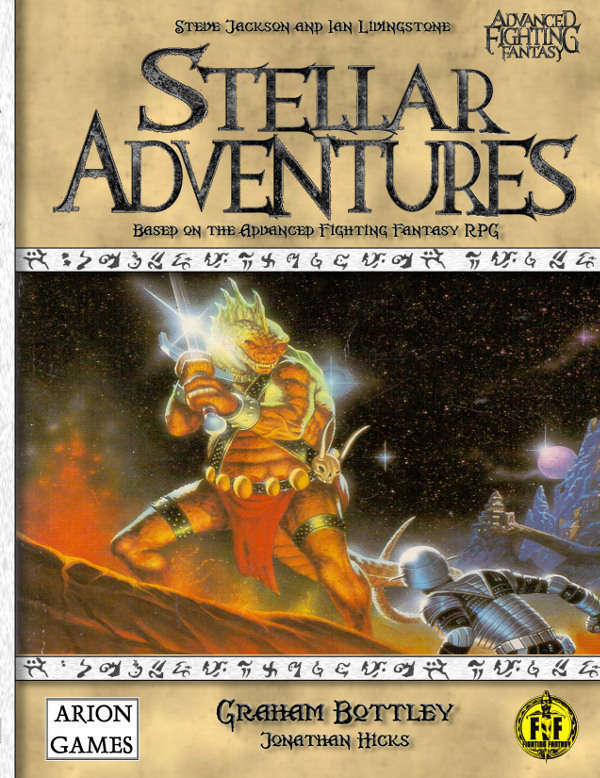 Many years ago, and the main reason why I came up with the name Farsight so that I could have a label to gather my creations under, I created a really stupidly simple RPG system called the SKETCH system, because it was a sketched out version of a larger system I wanted to create and the name kind of stuck. SKETCH isn't an acronym of anything- I just thought it looked cool in big capital letters. I did some simple settings covering most genres, and even had a stab at creating some unofficial games using established settings (purely for fun and not for profit - I have to say that because I can't afford a solicitor) and I had some fun with it. 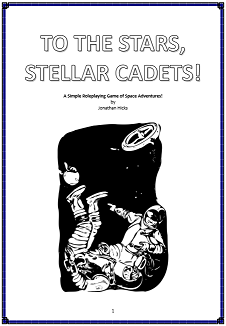 For ages now I've considered doing a second edition of the game, but it's so simple I can't see point. There are some things I'd like to change, but right now it serves it's purpose. My horror version of the SKETCH system can be downloaded here - the other settings are at the website here and they can all be downloaded for free. 'Even as the discovery and exploitation of hephaestium helped bring the Civil War to its close in 1869, the arms race it engendered resulted in a cold war just as bitter and violent as the open hostilities had been. With neither side willing to rely solely upon the talents of their scientific establishments, saboteurs, double-agents, and assassins found ample employment. Against this backdrop of suspicion and fear, thousands of Americans - Northerners and Southerners alike - headed west. Some to escape the legacies of the war, some to find their own land, some for the lure of that great undiscovered strike of hephaestium that would make them rich, and some simply to escape the law. Ahead of these pioneers stood the native tribes, behind them followed the forces of two governments, while to the north and south, foreign powers watched closely for their own opportunities. Every time I come to a product such as this I always start with the same explanation of my exposure to steampunk; it isn't huge. I'm fully aware of steampunk and it's alternative take on history, and the way it blends technological innovation with the capabilities of the period - and maybe even throw in something exotic to help things along - but other than a couple of books and a few other smaller things that exposed me to this popular genre I've never really had any involvement in it. I do like it, but I've never truly delved into it. I think one of the things that has kept me from it is the fact that nothing has ever really reached out of the pages and grabbed me, convinced me that I should explore it more. I've always enjoyed it but I've never really been encompassed by it, or really wanted to dedicate any time to it. I think, with all the other things that I'm passionate about that take up my time, it'd take something pretty spectacular to make me want more. If I was sucked into this world it'd have to be something in the tabletop roleplaying arena and I think Steampunk Soldiers: The American Frontier may be the first book I've read to make me want to choose an applicable gaming system and run a series of adventures in an Old West steampunk setting. I like the idea of the Old West, but as an Englishman I may have an overly romantic view of the period; that frontier mentality, danger on the borders, the politics of the country, the brutal law and the radical lawlessness... yes, incredibly inaccurate historically but I'm not looking for accuracy in a roleplaying game like this, I'm looking for adventure. Running a straightforward Western RPG may not be right up my street, but add steampunk contraptions, an alternative American history and a couple of glorious Alamo Fortified Suits... seriously, go to page 31 and I guarantee that as a gamer you'll want to stat that baby straight away. I could get some serious mileage out of it. The book itself is a full-colour hardback at 96 pages, and is illustrated throughout. The book details the two governments of the country - The North (The Union) and The South (The Confederacy), The Disputed Territories where the native tribes remain, The Far North of Canada and Alaska, The Old South of Mexico, and The Manifest Destined - which to be fair, is where I'd set my games, right on the frontier. Written as if Osprey Publishing are presenting these details as facts, each section has a brief introduction to explain the state of this particular part of the country and then there follows a series of illustrations that give us an example of an individual who lives there (and when I say lives there, I mean fights there) and it gives the role of that person, the role of the organisation they are involved in and what it is they do. And it's really well done. The writing is crisp and needs only a page to explain what they are and what they do, and as you make your way through the book it slowly builds a much larger picture of the country, larger than the brief introduction was able to give. It gives some great background and reality to the alternative history that's been created and acts as a great sourcebook for anyone wanting to use the material for their games, be it creating something from scratch or using the setting for their existing steampunk campaign, Even if you're not intending to use it as a gaming resource, it's just a great read with some amazing illustrations that'd look great on the bookshelf. Steampunk enthusiasts and cosplayers will find lots of great images in here that will no doubt give them some inspiration for their next project. The combination of atmospheric writing (the fact that straight away they deal with the history and the images as fact and not fiction adds so much depth) and great art (each image has a great dynamic and gives real character) makes Steampunk Soldiers: The American Frontier a great evening's read. It's not long at all, but I found myself revisiting it to check out certain images and backgrounds, and as a tabletop roleplayer I found a lot to help me into my first steampunk-themed game. Everybody likes a good western, and having the ability to add an Alamo Fortified Suit, a postman with an armoured dog, a Confederate trooper on a camel, flying natives, Banditos with flamethrowers and land Ironclads... I mean, come on, who's going to say no to that? Steampunk Soldiers: The American Frontier is a great book that really makes you wish the west really was that wild. At the moment I'm running a Call of Cthulhu (4th Edition) game for my local gaming club. It's set in the late 1920s and there's already been an arctic expedition, a brush with some Mi-Go and some zombified human constructs, a bit of a clash back at Arkham and a dead-but-not-dead incident on a train across the USA from Boston to San Francisco. Nobody's dead or insane yet, so they're either being incredibly good players or I've been an exceptionally bad GM. As some of the players are new to the Cthulhu Mythos there has been a lot of questions about what it all means, and as I don't want to give too much away I'm building up to an incident where they can find out more by reading the report of a man who had done his own research, namely the Lovecraft story 'The Call Of Cthulhu'. Just by reading this story they should have a much better understanding of what is going on. It was great fielding these questions, but one that came up was 'What do the government know?' which was a question I could not answer because they still had a lot of research and adventuring to do before they found that out, and mainly because I didn't really know myself. So that got me asking the question; what do the government know about the cosmic horrors that plague the world? 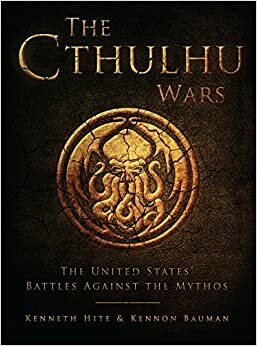 As if my mind had been read - as if the stars had aligned and the power of the Great Old Ones had ordained it to be - three days later a book landed on my doorstep, and this book was 'The Cthulhu Wars'. This 80-page colour softback book details the United State's struggle with dark forces from 1585 onwards. The fact that it's just from the point of view of the USA works for me, even though realistically the conflict is world-wide, because the United States is always the starting point of my own Call of Cthulhu roleplaying campaigns; for me, Cthulhu is all about New England in the 1920s, so this is just fine. This isn't a proper, fully-fledged sourcebook per se; you won't find stats or hints for any of the Cthulhu games be it RPG or boardgame, but what you have is an entertaining read that takes you from the very early records of the first settlers having issues with these monsters, through the better known mythos stories such as Innsmouth, through the use of nuclear weapons in 1962 (which is, in a word, epic) to more modern conflicts. The book is written as a document, intertwining fiction with historical incidents and figures, as if you've either just joined the ranks of the people fighting the danger and you've been given this book to orient yourself with the fight, or if you've received this to learn the horrifying truth from a conspiracy theorist. It's also written as if Lovecrfaft wrote his stories not as macabre tales, but as memories of things that happened, and that he himself was privy to the truth. Indeed, the introduction by Kenneth Hite reads as if he has researched the book and fears for his life in doing so, and then this is followed by Kennon Bauman explaining how he's completing Kenneth's work as a tribute to the man. That's brilliant, and it adds a whole new level of reality to the book. The artwork and images in the book support the text really well, from period images to eerily doctored photographs, to some fantastic art from Darren Tan that really helps sell the story. Even the 'Sources' section at the back of the book, which talks of where the information came from, helps with the overall atmosphere. It's a great read, and the suggested reading, games and fiction was helpful as it pushed me in the direction of some films I'd not considered before. Ultimately, how useful was it? From a gaming perspective I can see it being quite useful but only for small pieces of background and inspiration across several campaigns in different ages. Right now I'm in the 1920s, and it gives me some idea of what was going on but, to be truthful, I have my original Lovecraft stories to give me the background and atmosphere I need. If I ever decide to run a game in the present day, during the Cold War or during World War Two, I can see this being really helpful, and it's already given me a couple of great ideas regarding special units in the ETO. Overall, this is an entertaining book. It really tries to sell the reality of the war against the Mythos as fact and in this it succeeds very well. This would be a great addition to the collection of Lovecraft fans and gamers alike. For the last twenty years Kenneth Hite has worked as a full-time writer and role-playing game designer, contributing to many famous games including GURPS, Hero System, Vampire: The Dark Ages, and Savage Worlds. 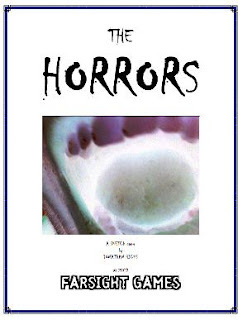 He has also written or co-written numerous books on esoteric subjects such as Cthulhu 101 and Where the Deep Ones Are. Kennon C. Bauman is a professional analyst whose writings on weird history, forteana, conspiracy theories, and adventure gaming can be most frequently found at theIlluminerdy.com. Born and raised in Malaysia, Darren Tan grew up drawing spaceships, dinosaurs and the stuff of his imagination, which was fuelled by movies and computer games. Inspired by these, he went on to study animation and later graduated as a Computer Animator from Sheridan College, Canada. After a brief stint in 3D animation, he decided to trade in polygons for a wacom tablet. Now he works as a digital concept artist at Imaginary Friends Studios and is enjoying getting paid for his hobby. Please welcome Ed Jowett, the man behind games company Shades of Vengeance. Ed took a bit of time out from his schedule - he's a bit busy at the moment with a Kickstarter on the go for his new game Era: Survival - to answer a few questions. 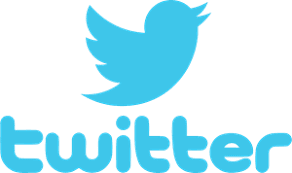 Hi there and welcome to Farsight Blogger! Perhaps you'd like to tell us a little bit about yourself? First, I would like to say it is great to be here! Hi! I'm Ed Jowett, Game Creator. I love Sci-Fi, games of all shapes and sizes and am a former software developer, now a project manager in my day job. By night, I develop games for Shades of Vengeance! To date, I have created 4 games and produced several more, along with development assistance. I tend to focus on creating my own universes because I particularly enjoy that aspect of game creation. The first RPG I ever played was Paranoia. 2 sessions later, I was GMing my first game of Paranoia! I was totally hooked from the start - I am a very tactical gamer and I would create complicated plans about how to frame up the others and generally bluff my way past suspicion... and I found I was very good at it. 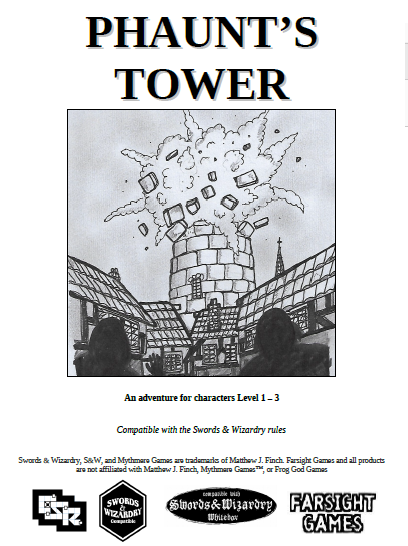 I began branching out into other games, mostly as a GM, and it was not long before I was called upon to help create a setting. By that time, I was in my second year of University, and the one I attended runs a 24-hour game each year. The tradition is that a setting is created by the 5 or 6 GMs that rotate through those sessions (across usually about 4 player groups, so you get some rest). As the previous year had been a low fantasy game, it was quickly agreed that we would do Sci-Fi. The vague concept was "Firefly with aliens", and that's when I came forward with concepts for two alien races, the Eulutians and the Ximians (which would later evolve further and appear in Era: The Consortium). That game went great and it firmed up the foundation - I was never going to stop being a roleplayer! I like the freedom of choice which can only come from a human GM. Video game designers can't predict all of my crazy schemes any more than I can, and I love the opportunity to let loose with something that the GM had never considered as a possible solution to a problem. I am very frequently in the GM chair, though, and when on that side of the table, I enjoy allowing people to experience the same - I will often create problems that I don't necessarily see a solution to and see whether the group can come up with a way out. It definitely keeps the players on their toes! I don't think that video games will reach that kind of flexibility for some time, still, so I think that tabletop roleplaying games still provide a very unique experience. This is going to sound self-serving, but I just love Era: The Consortium. We finished playtesting 2 years ago and I am still running two groups through 7+ hour long games at least once per month! I never run out of ideas in that Universe and the history really does give you both a solid foundation and flexibility. I would have to say that is my favourite game. I will always have a special place in my heart for Paranoia, as well, because it got me started, but I find it less good for longer campaigns... as I think many do! I have also played and particularly enjoyed World of Darkness (Malkavian for ever! ), Edge of Empire and Firefly. Tell us more about the Era roleplaying games; what was the inspiration to create the ruleset and the first two settings, Consortium and Lyres? I have loved games since a very young age - I started playing computer games at about 2 (which, I know, provides clues to my age!). I started "designing games" when I was about 7 - silly kids' stuff mostly, with dreams of doing better. After the 24 hour game I mentioned in answer to question 2, I finished university and went to London to work. For a year, I didn't play anything and I missed it a lot. I invited a group of work friends who were interested, and also several of my friends and family to join me in a game. We played Paranoia first, and after a session or two of that, people said they were interested in something that was more long-term. That's when I started on Era: The Consortium (although it wasn't called that yet, of course!). I reformed the Universe from the 24 hour game, tweaked the races around what had not worked, changed the universe around, and when the players created their characters, Stiletto Unit was born. After the 5 session campaign (which had an epic ending we still run as an introductory session for people at conventions! 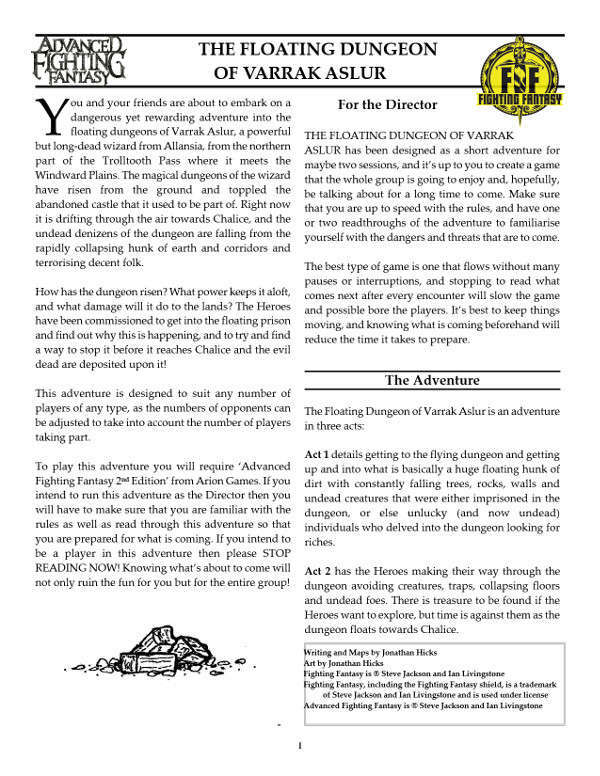 ), one of the players asked to run a session. He had a vague idea about the rules, but requested I write them down. I did so, in the clearest way I could, which took a few weeks and, in the meantime, showed the underway to a friend I have in Canada to ask his opinion. His first thought was "Oh, cool, are you publishing this?" Well, things went from there, through artwork, rewrites and editing, to the Era: The Consortium you now see - 500 years of playable history! Era: Lyres was totally the opposite in terms of development. I had a silly thought one day, because I, personally, am not a huge fan of diceless RPGs. I wondered what it would be like to include minimal dice rolls, but let the players loose to say whatever they wanted. 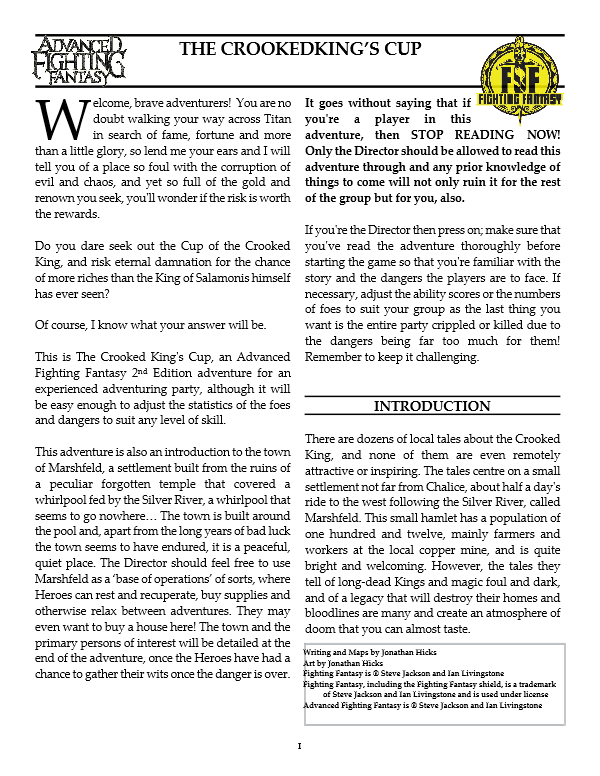 A silly storytelling game in a D&D-like Universe when everyone is sat around in the tavern, trying to con people out of their gold, is something that just came to mind naturally as the logical conclusion, in the space of an hour (...does that say something about me?) and I was talking to one of my team about it right away! It turned out really well, a genuinely fun game that people have really enjoyed playing! That covers the settings but not the rules. Both games (and our planned future ones) run off the same rule set. It is a multiple d10 dice pool system with variable Success Threshold (somewhat similar to Old World of Darkness or New Shadowrun). I have worked on it to make it easily accessible to newcomers (as nearly everyone I had in my personal groups was new to RPGs when I started) but also holding enough interest and variety for the Mathematicians and Computer Scientists that make up my group! I am pretty happy with what has come out of that, people are genuinely able to pick up the game in minutes at conventions, even if they have never played a tabletop RPG before. ...and an added bonus is that all of our games have modular rules, so if you want to run a game with elements of Era: Survival in the Consortium universe, such as limited ammo and weapons that break, the rules support that! The newest one is Era: Survival, and as of this interview it has just funded on Kickstarter. What's it all about? Era: Survival (on Kickstarter now: https://www.kickstarter.com/projects/shadesofvengeance/era-survival) is a game where you're trying to live in a post-apocalyptic world. It's 100 years after the Cataclysm and Humanity has somewhat adapted to "Infected" wandering around the world. It's split into many different factions, each of which has a different solution for how to survive the ongoing decline of Humanity. Some factions choose to hide underground in pre-Cataclysm bunkers (known as "Vaults), attempting to maintain the ancient technology for as long as possible, protecting all but a few front-line warriors from what's outside. Others believe that the Infection is inevitable for Humanity and react to that in their own way. Still others seek new Vaults, which may contain riches beyond their wildest dreams in the form of vehicles, weapons and equipment - enough to live comfortably to an old age. It's a post-apocalyptic game and there's a lot of post-apoc fiction in all kinds of media right now, so what makes this different from the others? I think there are several things that separate it from other post-apoc universes. The first is the factions - Gaia is politically complicated, and things are changing. Two large factions are expanding from the North and the South, the most concentrated areas of Infection are expanding and most of the "ordinary people" are caught in the middle of all this. For some, capture by the Swarm or the Sisterhood of Pyrus is a worse option than being Infected! I think this is quite unique in this genre, because although many do describe cities, they tend to assume that all societies that survived are different. It's also based 100 years after the Cataclysm, so rather than being someone who remembers what the world was like before, you're a third generation and, while you might have heard stories, you've grown up with the knowledge that Humanity might be gone entirely not long after you die. I think that's less common than the "sheltered with these people through the apocalypse" story types you see in other games and media. Shades of Vengeance are not only getting their own games out there, they're also offering help for up-and-coming games designers; you offer services such as design, art, printing, and even podcasting and comic strips. Tell us more about why you decided to offer these services, and how it can help the fledgling games designer. Actually, it was at a panel at Animé North! We were asked to appear on this panel because they don't do one-person panels there and someone wanted to talk about game creation. This individual was a successful (board) game creator - he had created 2 board games bought by publishers. He was also one of the most unhappy people I've ever seen. Someone asked him how to go about creating a game. His response was "Don't, if you don't want to spend a huge amount of money and time and risk getting something on shelves that potentially has nothing to do with what you had to start with." My co-writer (this was just after Consortium first came out in its initial form) and I looked at each other and he grabbed the microphone and said that, alternatively, if you want to make a game and have it come out the way you envision, come and talk to us. We'll give you the benefit of our experience, help you avoid our pitfalls and get your game to print. Seven people followed us back from there, including the creator of Amazing Space Adventures (the first external game we published) and the guys from Dice and Stuff (http://www.diceandstuff.com), who still run Podcasts of our games every week. We've turned that into something that really does happen, does work. We've helped 3 people bring their games to life and we're working with 3 others right now. Everyone who works with us works at their own pace. They pay for the contract work (artists and writers) that they need help with, but don't pay us anything for our work until we get to the Kickstarter, and even then only out of the profits after fulfillment. Does that mean we take a risk? Yes, a big one. We don't always get paid very much at all. But, you know what? It's worth it, because cool indie games that would otherwise never see the light of day can make it into existence. Well, I hope you can expect to see more games! One thing that the roleplaying game expects is abundant NPCs, non-player characters that populate the GM’s setting with helping hands or dastardly plots. They’re either background dressing or they’re part of the story. The background ones are no problem - you can simply say ‘the citizen points the way to the spaceport’ and that’s the end of that encounter. No serious hard work there. It’s those NPC’s the player characters (PCs) will be spending a lot of their time with that’ll need the work. This sailing ship captain they’ve hired or that installation commander they’ve kidnapped. The key characters need dressing up. 1. If you’re talented artistically you can simply draw the character in question. Artwork of the NPC always works effectively as the design is almost always original, making the NPC unique. 2. A narrative description of main characters, denoting a simplistic facial or bodily appearance coupled with clothing style, always works. For example: ‘The short man is ugly with a small pig-nose and narrow eyes topped with thick eyebrows. His clothing is that of a blue flight suit, complete with tassels hanging down his back but it is filthy beyond comprehension - he looks as though he’s been dragged through an old oil conduit’. 3. Take an existing picture from a sourcebook or any other reference material and simply say ‘that’s what they look like’, adding the odd detail as far as changing the appearance goes. 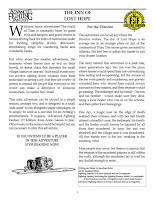 The character must be firmly imprinted in the player’s minds as play progresses to avoid questions such as ‘which one was he again?’ or ‘what did he look like?’ These queries can slow a game and suspend belief if a player has to constantly remind themselves what the NPC looks like. If you have a picture of the character, place it on the table whilst the scene unfolds. If it’s a description you have read out, then make sure you’ve done a convincing job. Sometimes, the need to remind players is necessary the first time they encounter your new NPC but don’t be disheartened if they don’t take to them straight away. As in real life, getting to know a face and name takes a little time. It’s usually the norm to base the way a character looks on their personality - if they dress dark and broody they’re usually bad guys, dressed dirty and scruffy they could be common thieves, dressed well and clean shaven they’re good people. This isn’t always the case. Dress a person in black, give them a big gun but an even bigger heart and you’ve got an interesting character. Dress another in a smart casual suit with a bright smile and blue eyes, give them a black heart and devious mind and you’ve got an interesting character. Simply basing a personality around an appearance will dilute you’re NPC’s to the point of boring the players. Changing them constantly will keep the players on their toes, or at least stop them from treating the characters as archetypes. The acronym in the above title is what you will use to give the character depth. There are usually three things that make up an individual - Motivation, Objectives and Personality. MOP. When designing a fresh NPC think of MOP and make a separate heading for each letter of the acronym. Make a brief list of what kind of impact the character will have on the game you’ve designed and then list their MOP statistics under each heading. Don’t put too many reasons under each one - after all, if an NPC is in the game because they want pretty much everything for every reason then you may as well create one stock character and use them for every game. Cue player boredom. M - Motivation: What makes the character do what he does? If they’re brutish and mean, why? Has one of the player characters crossed them in the past? Does he have a secret he’s worried the players will discover? Does he have something on him he wants to keep hidden? The motivation for a person is a strong part of the psyche and must be treated with care. If the NPC is going to be with the campaign a while those motivations may change - hate into respect, keeping the secret into sharing the knowledge. Make sure the change of motivation suits not only the storyline but the character also. A broody, mean character will not suddenly become happy and friendly when something goes right or the players help them out. They may become a little more relaxed, but not a total reversal overnight. Motivation powers the next step. O - Objectives: The character you have created has motivation, but what exactly is he or she in the campaign for? Are they there to protect a secret, for money or for some personal reasons? Do they intend to aid or hinder the players? At the end of the day an individual does something to reach a goal. You make your dinner with the intention of eating it. You aid a person to resolve a favour. You do the job to make the money. Every action has a result; it’s just that with the NPC you’ve created the result is usually a lot more important than simply preparing food or helping out a friend. Let’s say the NPC wants to help the players capture a crime boss. Why would he help? Is there a substantial reward? Has the crime boss done something to the NPC that revenge is the goal? Give the NPC a target and then send them off - their personality will determine exactly how they go about achieving that goal. P - Personality: Even though the NPC may have the motivation and the objective, these reasons will not be communicated to the players until it’s appropriate. It’s the way the NPC acts that the players will get to know first. Take the character’s appearance, motivation and objectives and try to create an interesting individual. Don’t always go for the obvious. You know that kindly old mage who helped the players secure that medicine for the thief of the team so that he could get over the fever? Well, it turns out she picked their pockets whilst they were asleep and skipped the town. That nasty old fellow in the corner with the dark eyes and the big rifle? It’s all for show - he’s actually never seen combat and is about as useful as a chocolate sun hat. A good mix of appearances and actions always serves to build a good character. You can still have your dirty mugger, your darkly-dressed bounty hunter and your clean shaven heroes but it pays to throw in a the odd contradiction every now and then. So there you have it. Take an appearance and MOP it. At the end of the day what truly creates a memorable NPC is the GM; the way the character is portrayed is very important. Glare at the players if the NPC has a grudge, smile lots and keep batting your eyelids if the NPC is happy but nervous. Take these traits and blow them out of proportion. If they act in a certain way and talk in a certain manner it’s possible to just start playing the NPC without introducing them by name. If one of the players turns around and says ‘that’s so-and-so, that is’ then you know you’ve done your job. SAMPLE CHARACTER - Grone Darkwin, Bounty Hunter. Appearance - Grone is a short man with dark green and brown conflict clothes, usually worn under armour but, as far as can be told, worn here as part of his general attire. A rough flight coat with upturned lapels gives the otherwise rounded, boyish face a guarded look. Wide eyes topped by thin brows, a furrowed forehead and speeder goggles holding back long, matted hair. A heavy pistol hangs from a cord at his waist, his cracked black boots reaching his knees but obviously of two different sizes. M - Fame. Grone wants to be feared and respected as a bounty hunter. O - To track down Turgen, a local ganglord. The players are going after Turgen, so he’ll utilise their help for his own ends. If he gets Turgen, he’ll get the reputation he’s been looking for. P - Very gruff and short-sentenced, but after a few minutes he’ll relax. He’s very forthcoming with stories of his achievements but keeps his mouth closed about his failures. As far as he’s concerned he’s already famous, and he doesn’t mind letting anyone around him know that.